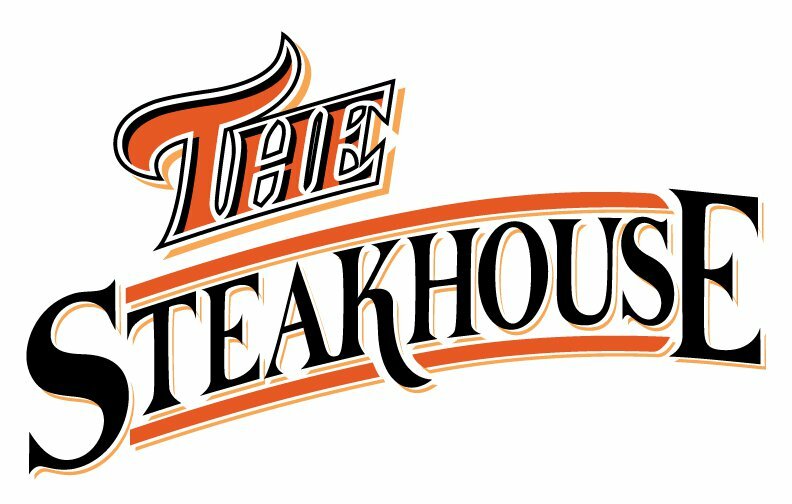 A few weeks ago, I went to a place called The Steakhouse because there were some people from a German TV news show interviewing me. When I first got there, it kind of looked like a mini Morton's, only they had TVs. I also saw a light, though I couldn't make out what it was until I got seated. It was a arcade that I had seen! Though I tried to calm myself because I was on a hidden camera. We took our seat and looked at the menu. 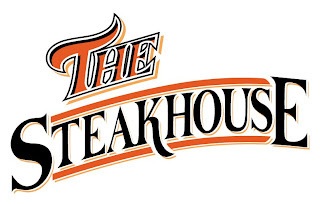 There were lots of choices like fish & chips(served for lunch from 11:30 till 3pm), Steak Chesapeake, grilled salmon, and old fashioned cheeseburger as a main course and Crab dip,peel and eat shrimp,and finger lickin' wings as a appetizer. They also had a kids menu with normal choices like chicken fingers, grilled cheese, and hot dog. I got the sirloin tips with a side of Kraft macaroni & cheese and we got the BBQ chicken potato skins as a appetizer to share. While I waited, my dad got a prize card from one of the staff and we played a racing game. When it was over the bread had already came. It was chewy and moist and, with the butter, sweet. Then followed the BBQ chicken potato skins. They were salty, juicy, and the BBQ sauce on it gave a huge punch. Then the food came. While the macaroni and cheese was good since it was Kraft, the sirloin tips were awesome! They were juicy and very tender(though I made the foolish mistake of putting each one in my mouth whole). After that we went back to the arcade to get more tickets. Only then did I realize that the arcade was for kids and teenagers. There where games from the claw to a freaky zombie game(I can't remember the name). In the end I had gotten approximately 115 tickets, though since there was no one behind the prize counter, we decided to save up our card for the next time we came(my brother was not happy). I give ***** stars for kid friendliness and **** stars for food. Well, that's all. Bye! I went to a crepe place for dinner. 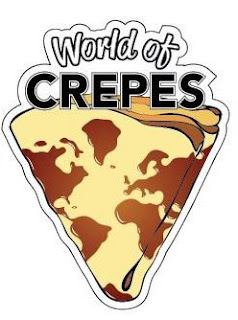 It was called "World Of Crepes Cafe" in Towson. Before going, me and my family checked out the menu on the computer. There were choices like roasted pepper crepe(on the meal crepe menu) and marshmallow explosion(on the dessert crepe menu). Then me, my brother, Owen, and my dad all went out to pick-up our order and bring it home. I had gotten a pizza crepe, Owen a four cheese, mommy had a tomato and cheese(she shared it with my sister,Olivia), and my dad had a egg, bacon & cheese. My crepe was delicious! It was cheesy and the cheese was gooey. It tasted like pizza! The only complaint was that there was goat cheese in it and I didn't think that should be on pizza. I give it ***1/2 stars for food. For kid friendliness, I give it *** because it was a cafe and there weren't many places to sit.Well, that's all. Bye! Here is my review from the Baltimore Grand Prix of Joe Squared on the Citypeek website. I went to a place called Joe Squared PIZZA in Baltimore, Maryland. It was during my Hotel vacation. Gourmet Live Magazine wrote an article about kids and food called "Growing up Gourmands" and featured ME! 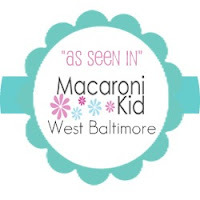 Just one year into his online reviews, Knauer has attracted a devoted following for his candid reflections and was recently nominated for a 2011 Most Valuable Blogger award from CBS TV’s Baltimore affiliate. No restaurant is safe from Knauer’s critical eye—not even Bobby Flay’s famed Burger Palace in Paramus, New Jersey, which Knauer granted a middling three stars for both kid-friendliness and food. “The cheese wasn’t very gooey” on his burger, Knauer wrote, and although the meat was “tender,” at one point it “tasted like ham.” While this young burger- and pizza-lover has a knack for dishing on dining out, Knauer says his goal is to transition from restaurant reviews to the field of food science. Nathan Myhrvold might just have met his competition. Here is my review of the Marriott Inner Harbor in Baltimore on the Citypeek website. Eli Knauer is 10 years old, and started his blog, Adventures of a Koodie, because he loves to eat! CITYPEEK been asked countless times to cover more kid favorites, so welcome our new Kiddie Peek Blogger, Mr. Eli Knauer (10 years old). CITYPEEK CEO/Publisher Patti Neumann had the pleasure of sitting down with him as he enjoyed a VIP Kids Experience at Phillips Seafood Restaurants' Harborplace location. This was our introduction to welcome Eli to the CITYPEEK family.